Today I spent most of my day writing in the café called Milch Halle (“milk hall,” really). I love these days. I am continuously getting the feeling while I’m sitting and writing, not worrying about anything but the next sentence and loving every sip of cappuccino, that I would do this every day of my life if I had the means. Unfortunately, one must work for a living, and I would probably run out of ideas for writing in very short order with no life experiences besides the writing itself. No, I need a life aside from this to make this happen at all. But being here in Berlin is a great experience for me. 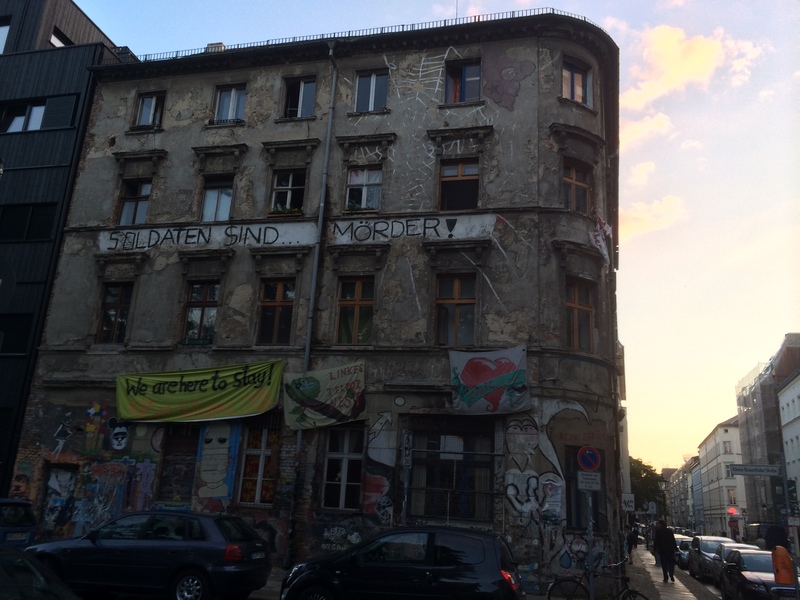 Berlin is a big enough and diverse enough city that it really is whatever one makes of it. I am noticing this more and more with every person I meet who’s making this or that recommendation that’s unattractive to me but is the only thing they could imagine doing in Berlin. While I’m here to read, write, walk around, and to learn a few things about history, other people are here for a great many other reasons. Are you here to drink one-euro beers and dance all night? Berlin has you covered. Wish to spend your nights blissfully unaware of chaos? You can do that, too. Priceless works of art, great academies of learning, beautiful architecture spanning five hundred or more years? Surely, you can find all of these in Berlin. Cobblestone throughways and streetside cafes? Check. Capitalist and communist heroes immortalized in the same city? But, of course. All of this and more is accessible by a coherently-arranged and easy-to-use network of trains, trams, and buses. Oh, and it just so happens to be in the center of Europe, so if you tire of all of this, you can get to all of the other major cultural hubs of Western Civilization with a relative hop, skip, and a simple jump in the right direction. 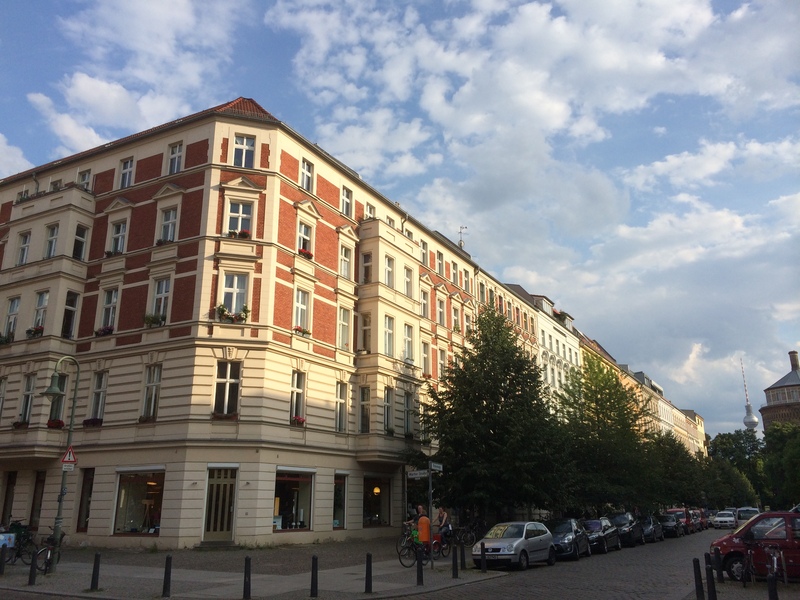 This entry was posted in Travelogue and tagged Berlin, cafe, Coffee, Culture, germany, mitte. Bookmark the permalink.